Custom design influenced by Japanese style of building. Due to lack of electricity to the shed it was designed with narrow windows along the top of the walls which provide enough natural light. 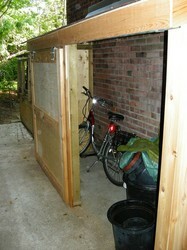 Frame of the shed was done using cedar beams and posts. 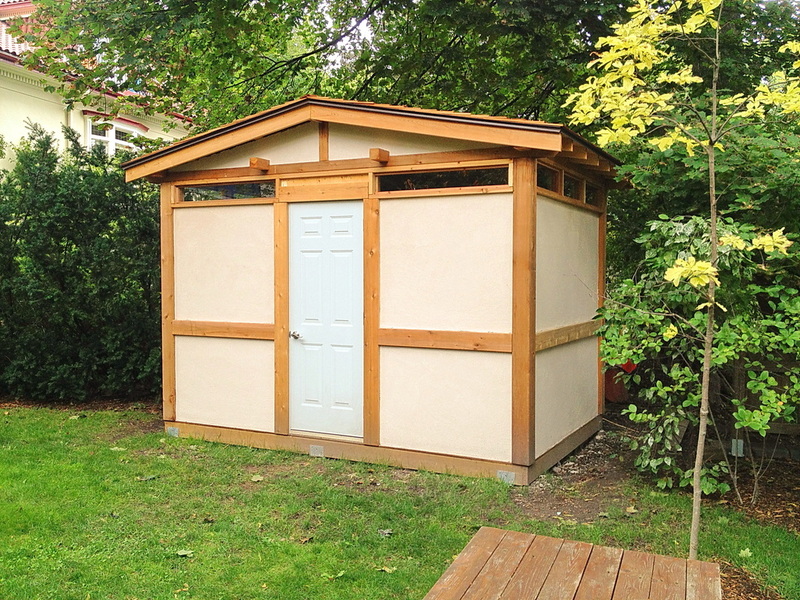 The panels are stucco. 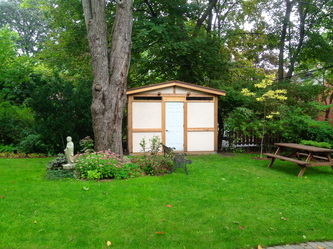 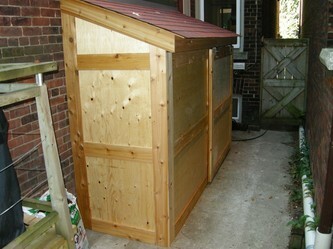 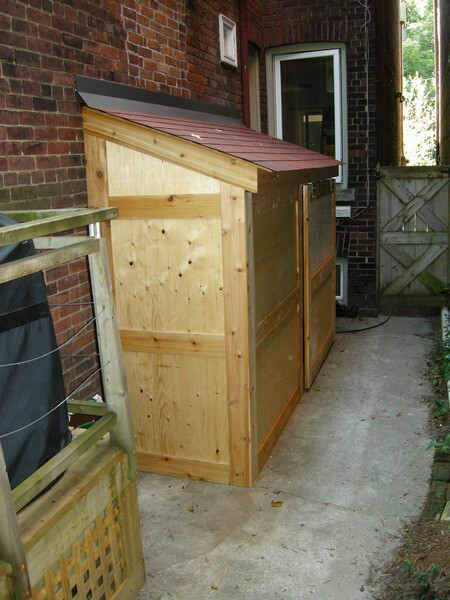 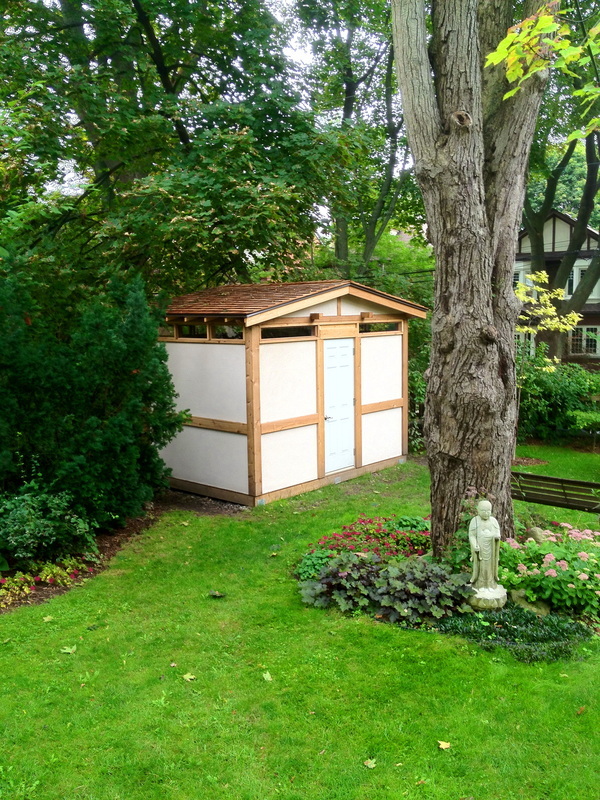 Custom design frame and panel storage shed with sliding doors. 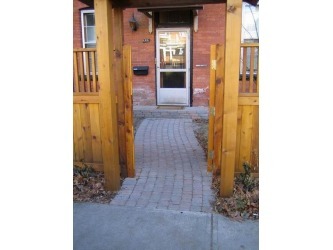 Design uses a combination of materials to achieve the desired look but to keep the costs down. This structure was built from plans provided by the client. 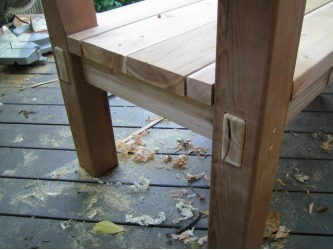 The construction was done in such a way as to hide andy fasteners that were used through a combination of hand cut joints and countersinking and plugging of screw holes. 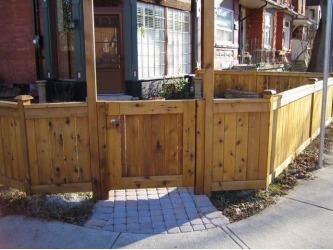 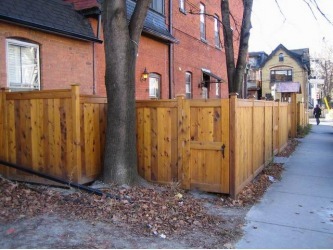 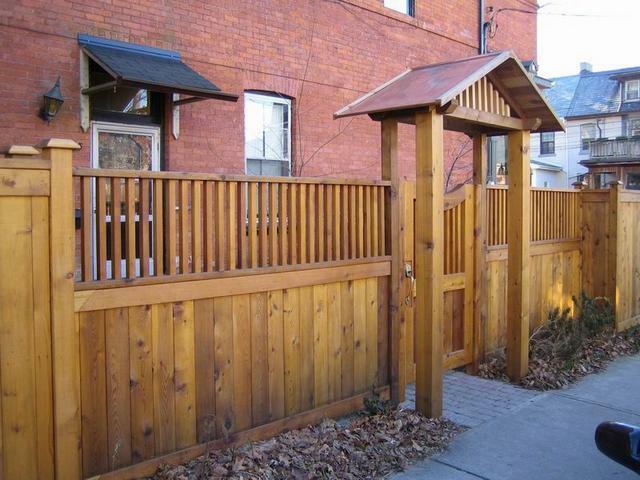 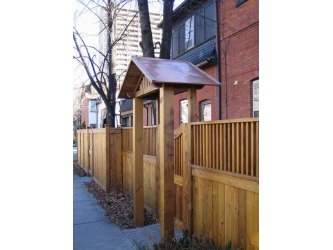 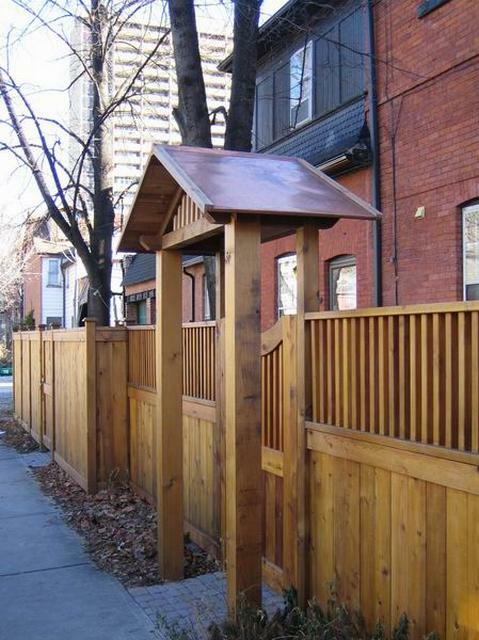 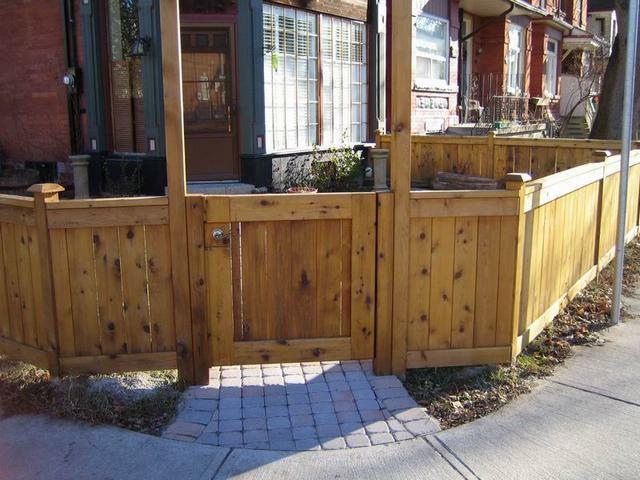 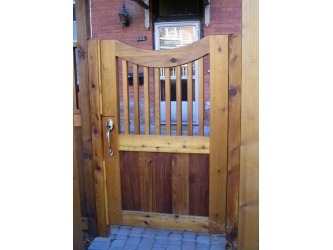 Cedar fence with custom frame and panel gates. 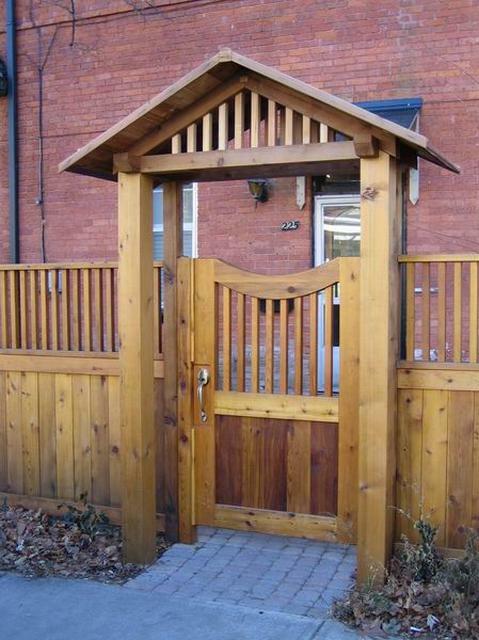 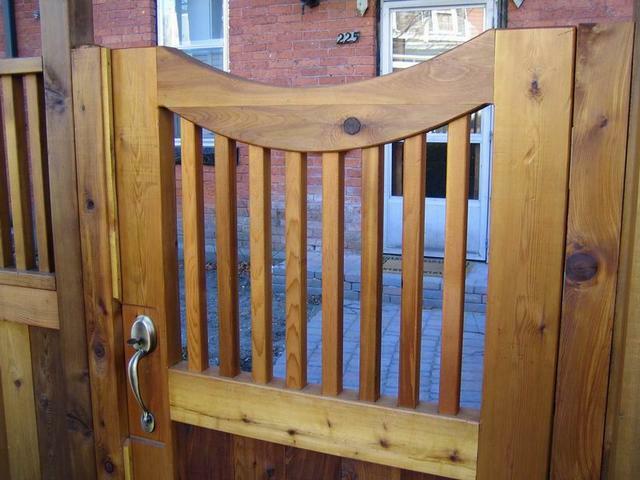 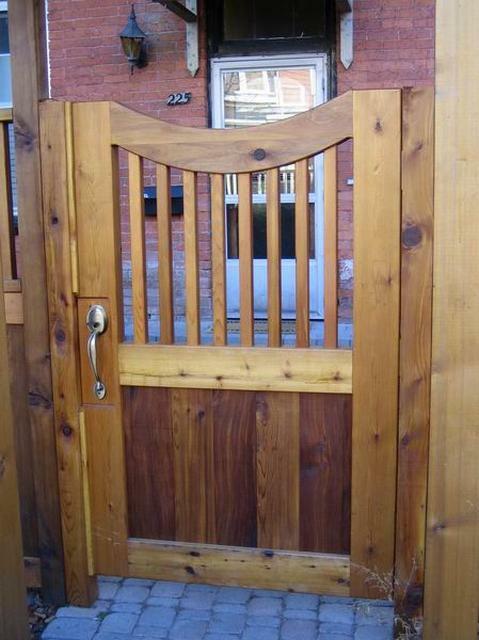 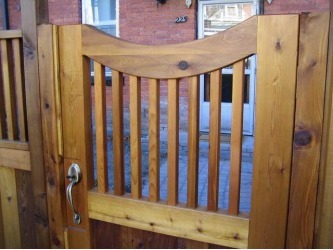 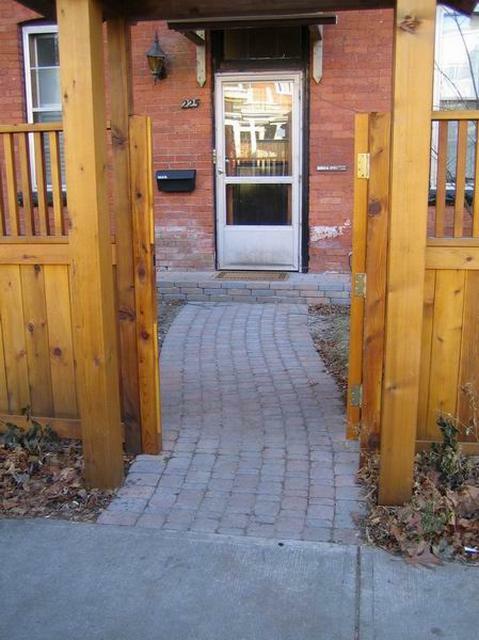 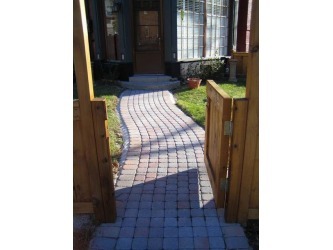 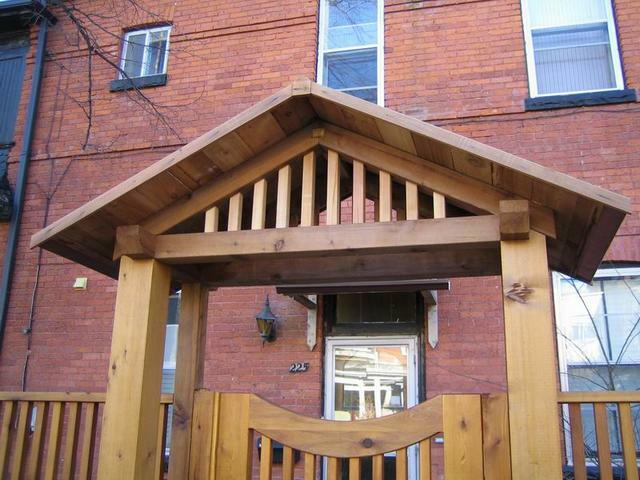 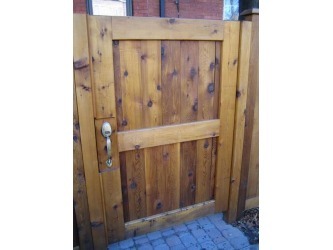 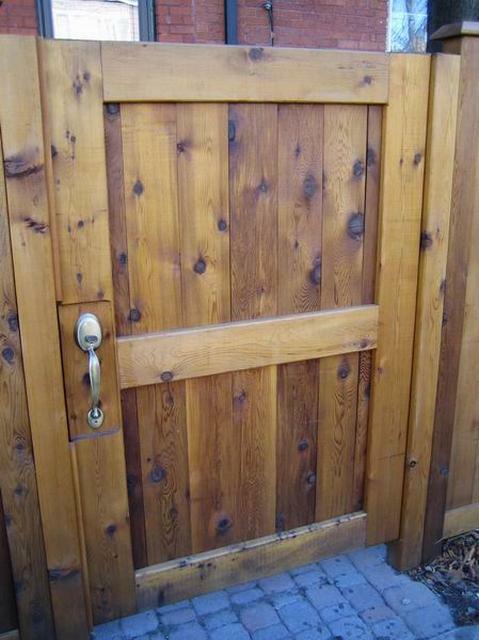 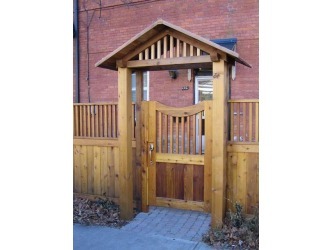 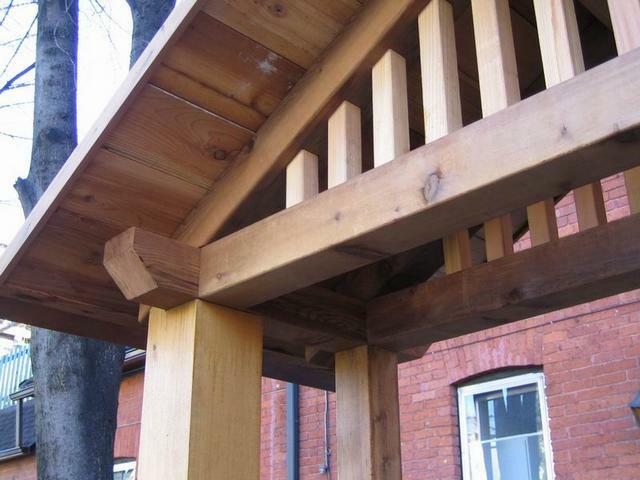 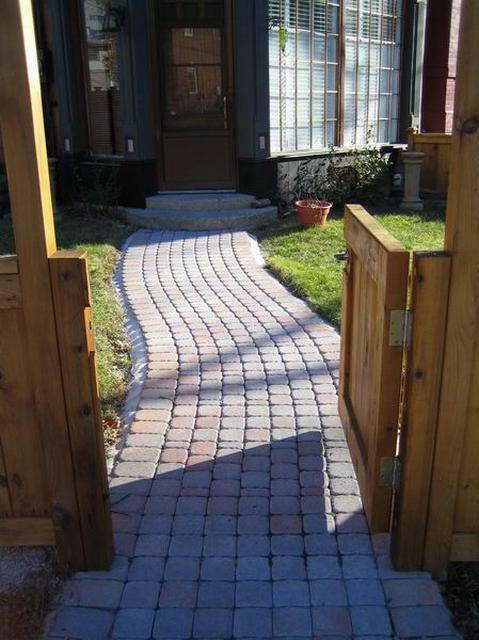 The gates are made using traditional construction methods using mortise and tenon joinery. 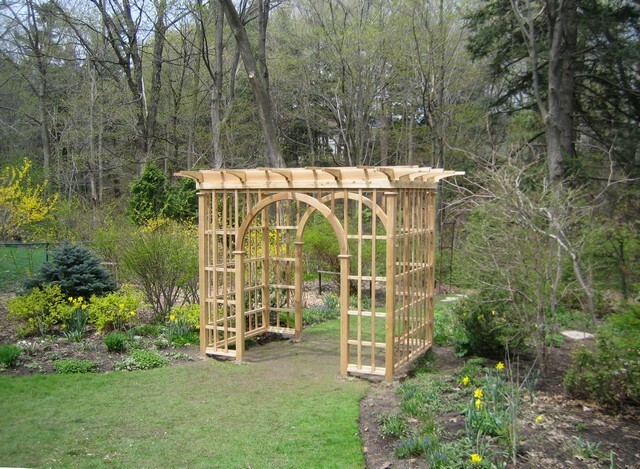 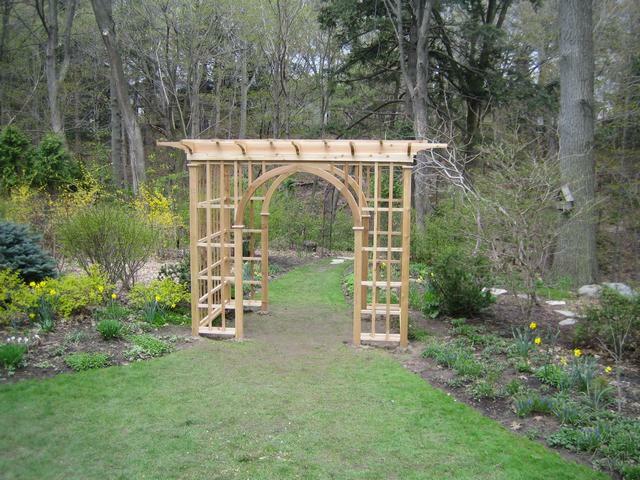 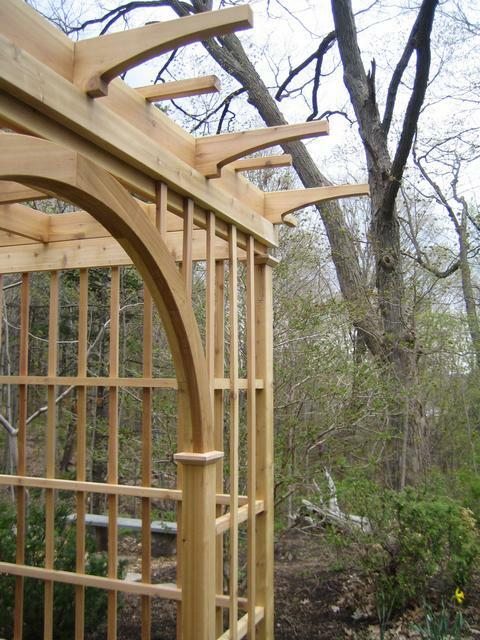 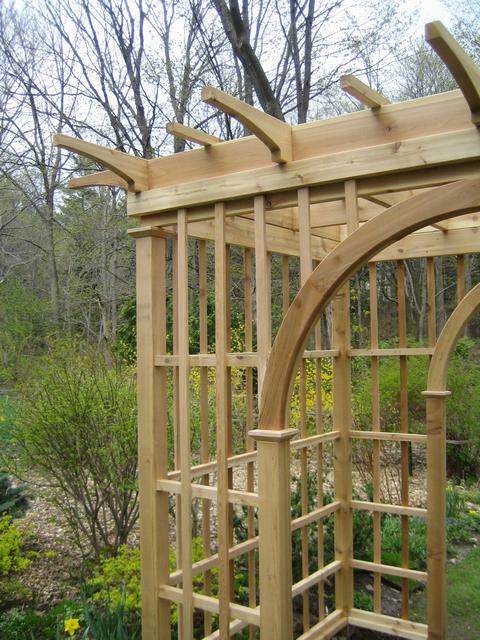 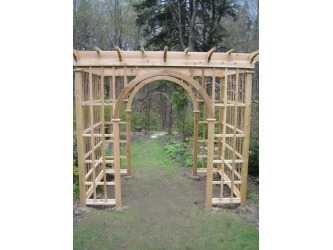 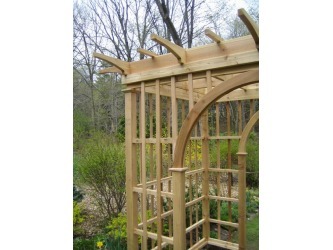 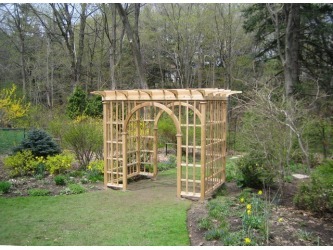 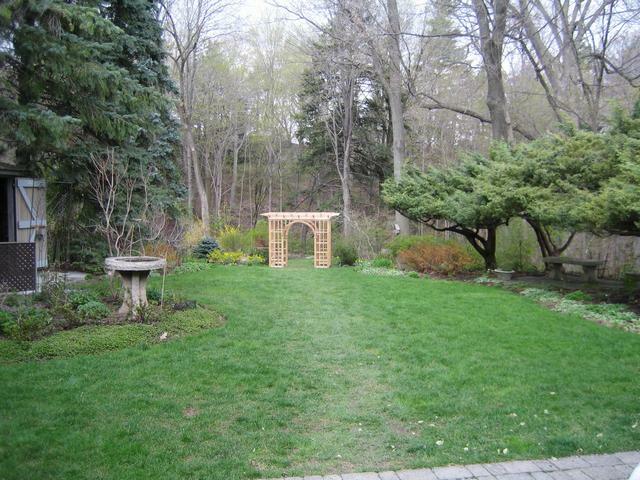 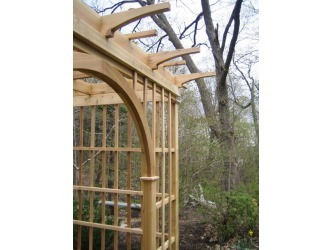 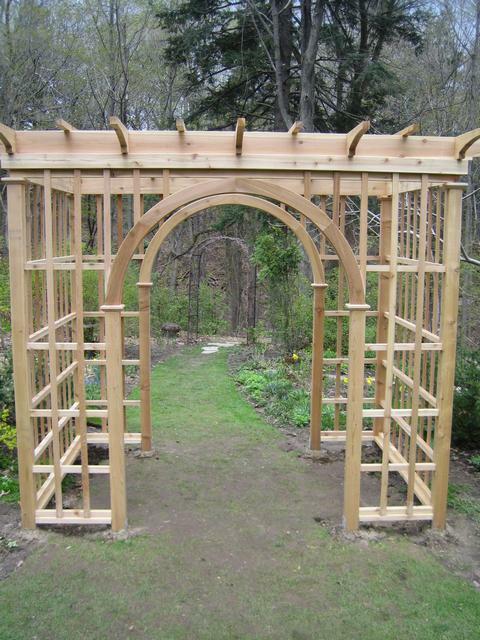 Construction of the arbor was done the same way using only hand cut joints. 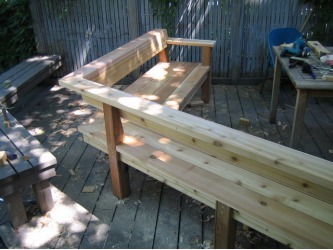 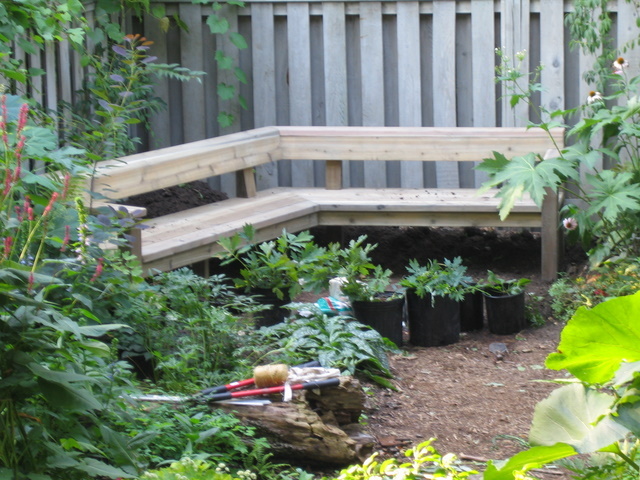 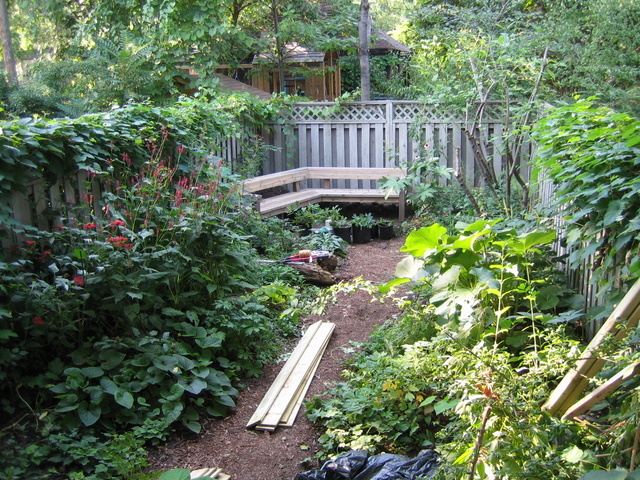 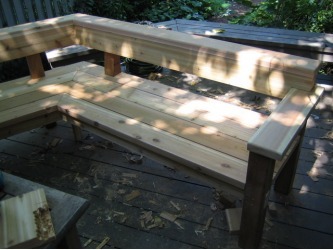 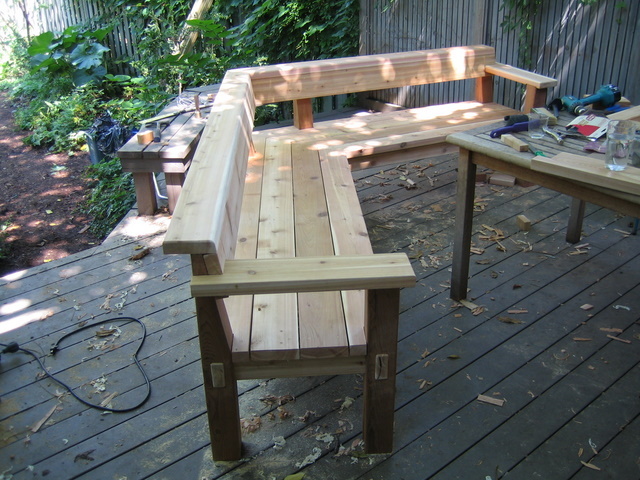 This bench was custom designed and made for a clients garden. Again all the joinery is hand cut to achieve the best in both stability and looks.